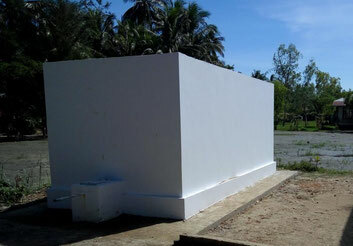 Rainwater collecting tank (5000 gallons) was supported to Pa Wein school. 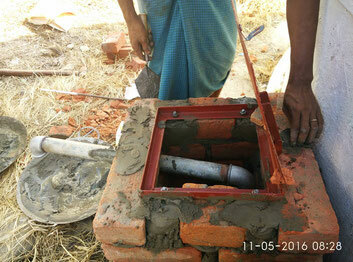 The school has overcome from the obstacle of lacking water source for safe drinking water in campus and instead rainwater from roof top gutter was collected with some clay pot. 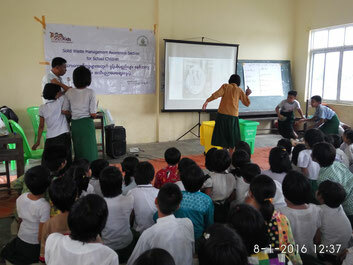 Meanwhile school health activity was conducted in 3 schools; Pyin Ma Gone, Kyone Hlut and Myit Kyoe. Medical examination for every children was undertaken. Children who need further treatment were provided oral treatment and other kinds of infection. School health activity was conducted in 4 schools; Ma Seine, Taung Tha Lae, Ma Lot and Thit To Chaung until end of October as a joint action together with Department of Health (Rural Health Centre). Medical examination for every children and consequence treatment for those who are in need for medication was undertaken. A number of children received dental treatment, and treatment for skin diseases and worm diseases. School health activity is being conducted by 600kids.org in the time frame of August to October as a joint action together with Department of Health (Rural Health Centre) with the aim at providing primary health care services as well as preventive health education to the children at primary level in partner rural schools. 600kids.org built a child friendly and gender-separate toilet block (2 latrine units with urinals) for the schools Ma Seine, Pyin Ma Gone and Zeya Thukha monastic school with the aim at improving sanitation system accessible to every schoolchildren in each school. Meanwhile solid waste management training was delivered to the children in all partner school in collaboration with local NGO (GREEN) in August. 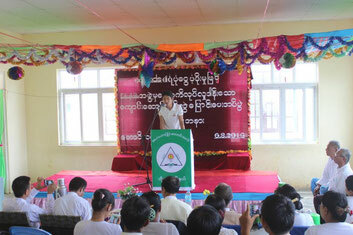 Inauguration ceremony for 600 Kids built school building was taken place in Taung Tha Lae Middle school. 600 kids Bogalay team, governmental officials, teachers, village community and children took part in this occasion. This is the 3rd school building constructed by 600 Kids in its partner rural schools where insufficient classrooms are obsacle for teaching. 600kids.org installed hand-pumps at shallow tube well, for feasible fecthing water for toilet use including regular cleanliness, in the schools – Ma Seine, Taung Tha Lae, Thit To Chaung, Lada Chaung and Ma Lot. Meanwhile ToT training for English grammar was delivered to the teachers of Zeya Thukha monastic school. This is a platform to better teaching of English. 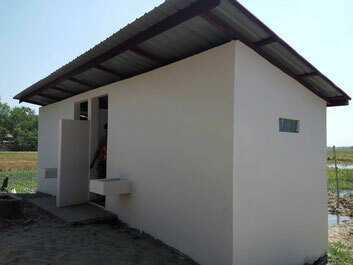 Toilet block (4 latrine units with urinals) which is designated to child friendly and gender-separated, was supported to Ma Lot high school with the aim to provide adequate and improved sanitary facilities for its over 600 students. Existing two rain-water collecting tanks in this school are also under renovation in order to fetch safe water for drinking. 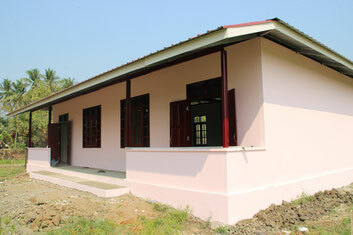 School building (1200 sqfts / 2 classrooms) construction is ongoing in the Taung Tha Lae middle school. The construction process was started in April and expected to finish in June. Meanwhile 600kids.org conducted a survey about children life by visiting households in the villages where its partner schools exist. Inauguration ceremony for the 600kids.org built new school building (1000 sqfts) was taken place in Zeya Thukha monastic post primary school on 23 March 2016. 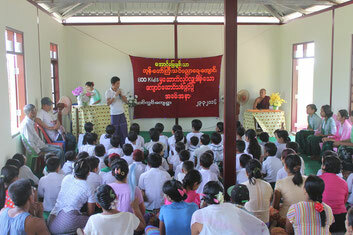 600kids.org Bogalay team, monks teachers, school children and their parents participated in this occasion. 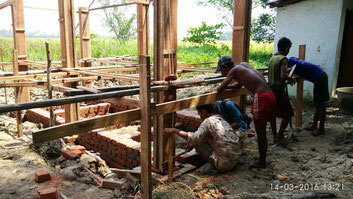 Toilet block (2 latrine units and urinals) is under construction for the school Lada Chaung. 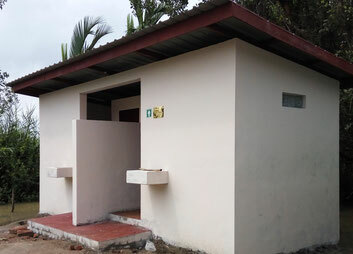 In this school, there is only one toilet block for 150 school children and this is obviously insufficient for them. 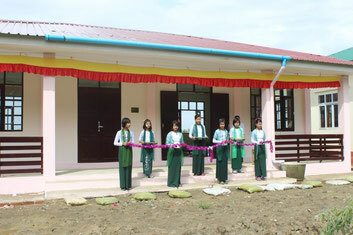 600kids.org built new school building for Zeya Thukha monastic post primary school. The building is steel structure type with two classroom (hall type) and its space is available for approx. 60 school children. This is the low cost building design initiated by 600kids.org. 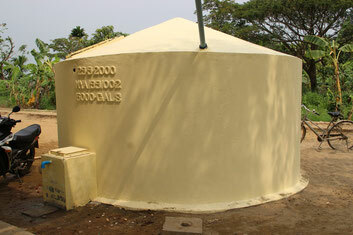 600kids.org renovated the old rain-water collecting tank which is the capacity of 5000 gals. in the school Thit To Chaung with the aim to collect rain water efficiently in upcoming rainy season. Renovation work includes repainting, replastering, lockable brick box for outlet pipe and drainage. 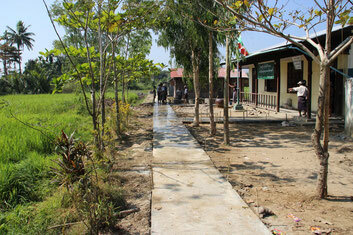 600kids.org built concrete foot pathway in Thit To Chaung Primary School. 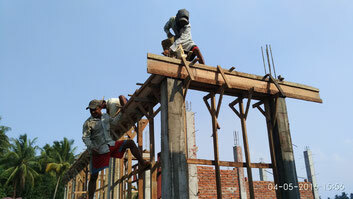 Village community contributed labor while delivery of materials and pouring concrete. In this school, children have to walk on muddy pathway especially in monsoon. 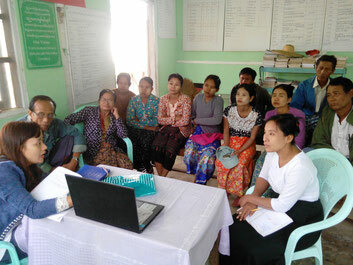 In January 2016, 600Kids.org conducted community meetings and participatory problem analysis with participation of teachers, school committee and children in its 5 newly selected schools for 2016 as initial steps for its project engagement in the new schools in Bogalay, Delta of Myanmar.